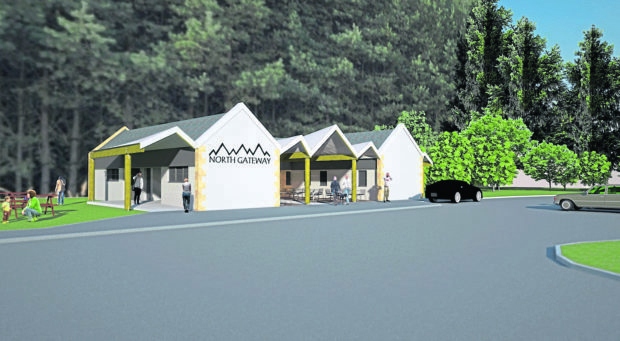 Designs of what the Daviot Wood Tourist Info building could look like. The proposed development of a derelict former tourist information centre on the outskirts of Inverness has been warmly welcomed by local councillors. The Highland Council confirmed that an Edinburgh-based businessman Tim Cocking bought the property last month after 18 months on the market. He now plans to develop the site including making it a base of his care company’s operations in the Highlands creating 50 jobs over the next two years. Both Community and Highland Councillors expressed relief that “things are moving ahead” and something is being done with property because it had fallen into disrepair. Located just off the northbound A9 carriageway at Daviot Wood it was a tourist office and picnic site that is popular with dog walkers. But since the office closed in 2015, it has become rundown and defaced with graffiti while the closure of the public amenities there did not help matters. Strathnairn Community Councillor Bea Wallace said: “My personal view is that I think it is great. 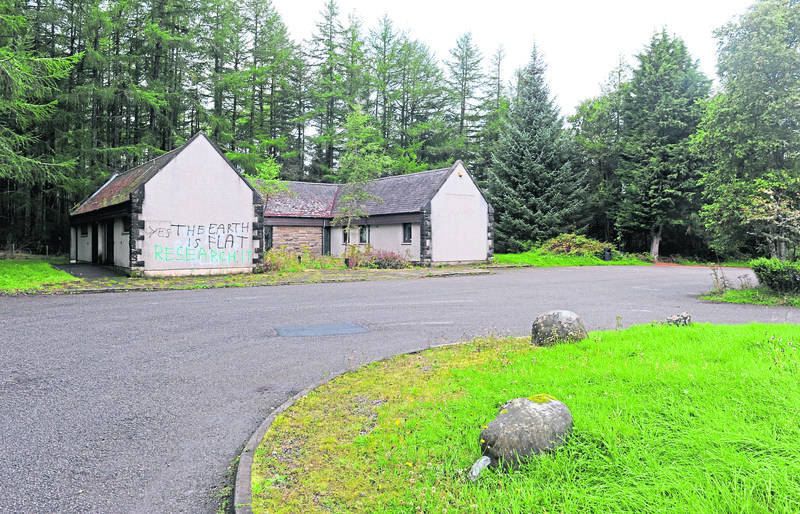 The former Daviot Woods Tourist Information office covered in graffiti. Mr Cocking’s immediate intention is to establish it as a Highland base for his a Bright Care company. But there are also plans to purchase the rest of the site and provide space for either a café or retail business, hoping that with enough local support the public toilets could also be reintroduced too. Councillor Andrew Jarvie said: “As this will have to come to South Planning Application Committee I am slightly restricted to what I can say.